Thank you so much for the LED desk lamp and the packet of dry erase pocket sleeves with erasers and markers. I am using these products together with my document camera to display a leaf for our writing unit on labeling. The light makes a huge difference when I am projecting the objects on to the screen. 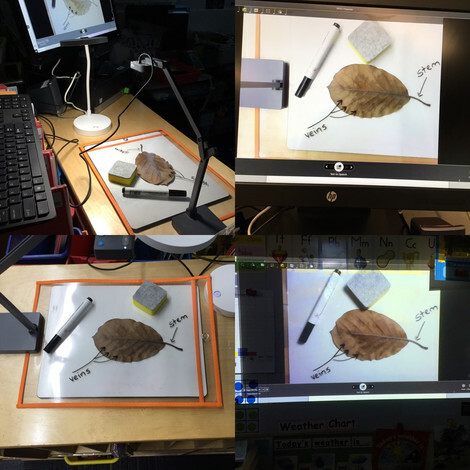 With the use of the IPEVO interactive system, the students are able to use the pen tool to help label the leaf and other objects. The light helps with a better visual of the objects. 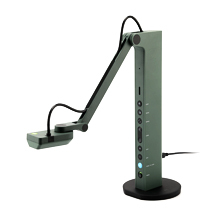 I truly appreciate how IPEVO supports teachers! Thank you again.